Movie fans these days know to keep an eye out for more than just the plot, as writers and directors have made a habit of planting easter eggs, inside jokes, and references to classic movies at every turn. But who says the fun has to stop when the movie ends? Some of the funniest jokes and hidden treasures can be found once the credits start to roll. Here are Screen Rant's 10 Amazing Details Hidden in Movie Credits. By now, most people know that Marty McFly's disastrous trip to Old Man Peabody's farm was the first time he changed the future, turning "Twin Pines Mall" into "Lone Pine Mall" (after he knocks over one of the pines leaving the scene). But did you catch the other time travel joke? The farmer's son only appears for a second, but is listed in the credits as "Sherman Peabody" - a reference to Mr. Peabody and Sherman, the stars of the famous time travel cartoon. No matter how crazy, unbelievable, or impossible a movie may be, studios usually cover by warning audiences that nobody was hurt during filming, or that incredible stunts were carried out by professionals. 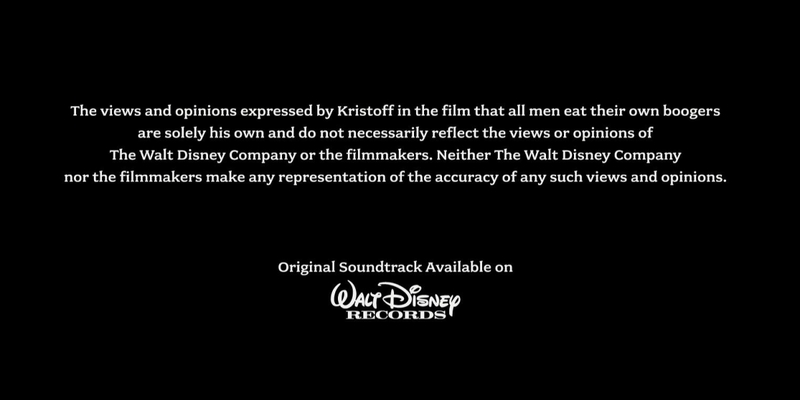 For Disney's Frozen, the studio decided to distance itself from a controversial claim instead, confirming that the outrageous claim made by Kristoff - that all men pick their noses - doesn't represent the opinions of the studio. Fans of Pixar's movies know that the animators love to plant easter eggs and well-hidden cameos from other characters - but they're not always so secretive. Most young audiences probably left the theater when the credits on Finding Nemo started rolling, but if they had stayed put, they would have caught an unexplained appearance from a swimming Mike Wazowski, the star of the studio's previous movie Monsters, Inc..
Quentin Tarantino has shown how strange his sense of humor can be, so when the victim of an armed robbery has his line cut short in Pulp Fiction's closing act, he didn't miss a beat. The actor was supposed to say "I'm just a coffee shop manager," but was cut off violently at "shop." The director decided to go with the line he really did say, crediting the actor as "Coffee Shop" in the final credits. If you know director David Fincher, then you know Andrew Kevin Walker, the screenwriter of both Se7en and 8MM. But Fincher's trusted writer was also brought in to work on the script for Fight Club. Even though he didn't do enough work to earn an official credit for the movie, the director found a way to include him. 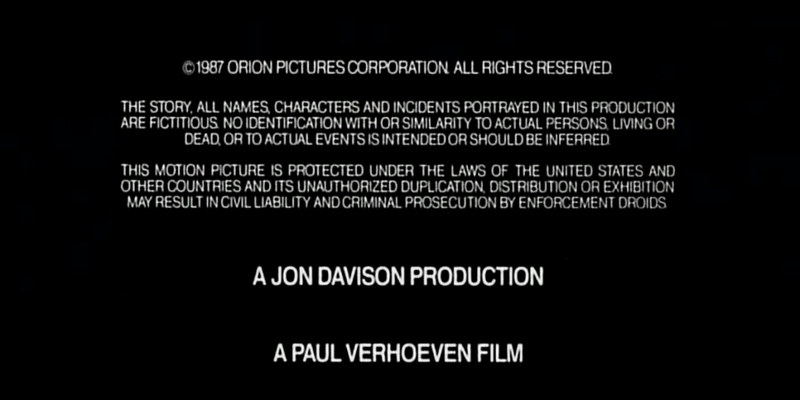 The three police detectives who assault the movie's narrator are never named, but are credited as Detective Andrew, Detective Kevin and Detective Walker, giving the writer a full, if unusual appearance in the credits. The medieval magic of this Pixar story begins when a young girl can't help but chase after a will o' the wisp - a magical creature of blue light. Their real nature is revealed when the monstrous bear, Mor-du, is killed, and his true spirit is released, becoming one of the wisps. Knowing that, it's hard not to shed a tear when the final credits dedicate the movie to the late Steve Jobs, the studio's biggest supporter, creating a new wisp in his place. So what do you think of our list? Have we missed out on any of your favorite hidden jokes or tributes in movie credits? Let us know what you think in the comments, and remember to subscribe to our YouTube channel for more videos like this one!